On arrival at Mumbai, meet our ihpl representative who will help you take a transfer to Matheran. Matheran is a popular destination in the Raigad district of Maharashtra. The place offers a serene environment to the tourists. After you reach Matheran, check-in to the hotel and spend the rest of the sightseeing at Alexander Point, Echo Point and Panorama Point. Have a comfortable stay at night in the hotel. Have delicious breakfast in the morning and go for a walk. Enjoy those scenic locations and capture some memorable moments. Visit famous attractions like Charlotte Lake and Panthers Caves. You can also enjoy horse riding at Matheran. After sightseeing at these places, leave for the next destination, Lonavala. Stay overnight at the hotel in Lonavala. Munch healthy breakfast and leave for sightseeing at famous attractions like Karla Caves, Visapur Fort, Walwan Dam and Lonavala Lake. After sightseeing at Lonavala, leave for Alibagh. On your way to Alibagh, stopover at Khandala and enjoy the views from those scenic locations in pleasant weather. On reaching Alibagh, check-in to the hotel. Go for a long walk at Nagaon beach in the evening and enjoy the beautiful weather. Stay overnight at the hotel. In the morning, you can visit Kihim Beach, Janjira Fort, Alibagh Beach and Kulaba Fort. 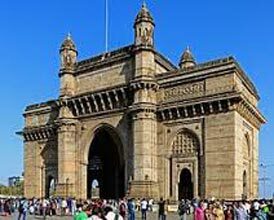 Enjoy sightseeing at these places and head back to Mumbai. 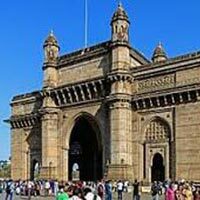 After reaching Mumbai, take a transfer to the airport/railway station. Finally, this beautiful tour comes to an end. Take back all your lovely memories and cherish them always.